Honor recently launched in the Philippines their GPU Turbo-powered Honor Play smartphone. It’s a game-focused device that packs a Kirin 970 chipset, 4GB RAM, and dual-rear cameras. We already have an idea how well it performs, now it’s time to take a look at the other things it has to offer. 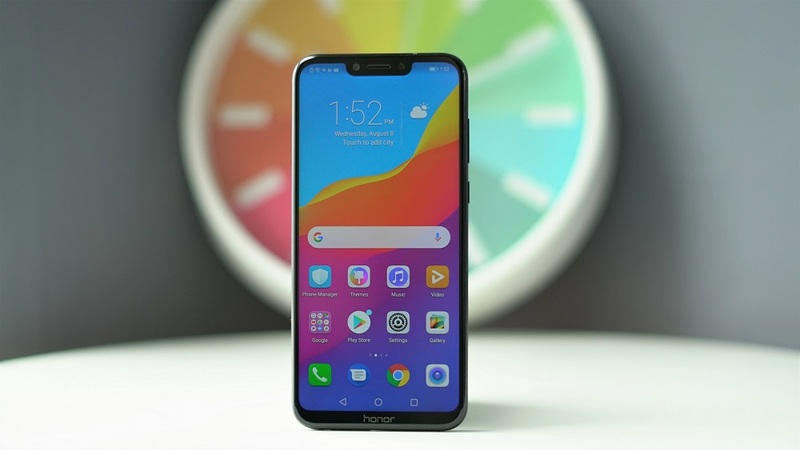 The Honor Play has a design that is similar to the Nova 3i but with a less premium look. 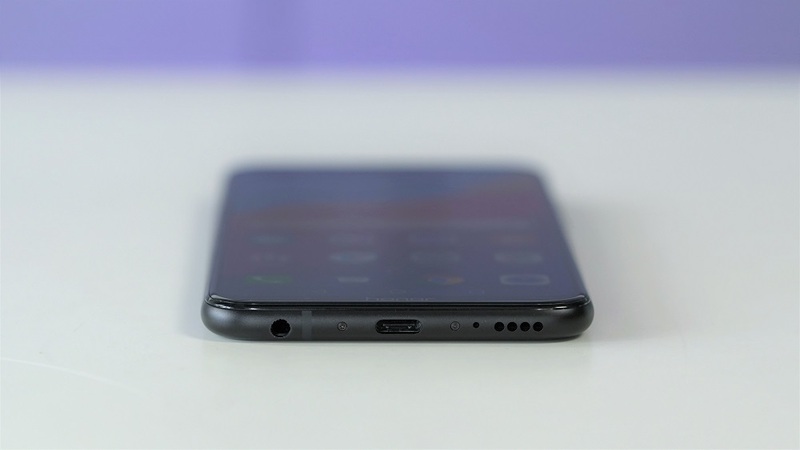 It has a notch at the top which houses the camera, earpiece, and sensors, while down below on the chin is the Honor branding. On the right are the firm yet clicky volume and power/lock buttons, while on the left is the hybrid SIM tray. Up top is the secondary microphone, while down below are the 3.5mm audio port, USB Type-C port, main microphone, and the loudspeaker. At the back are the protruding dual rear cameras, the LED flash, and the fingerprint scanner. Also, visible here are the antenna lines but they provide a cool effect to an otherwise bland rear. 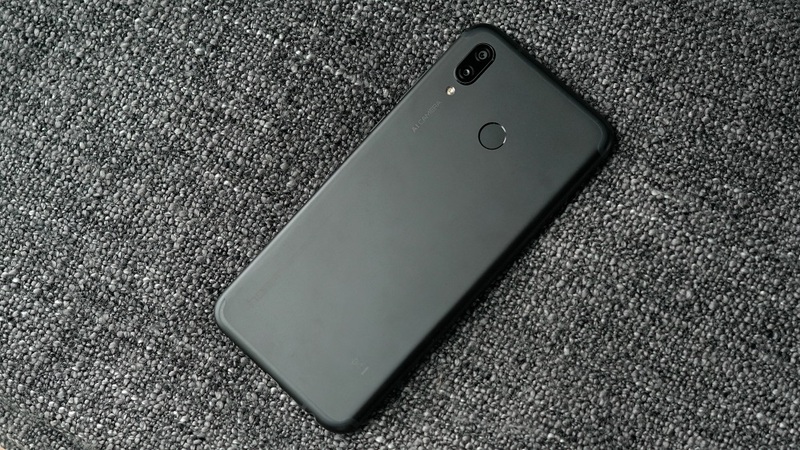 When it comes to its quality, the Honor Play the metallic frame feels well-made and has this matte finish that repels fingerprints and smudges well. 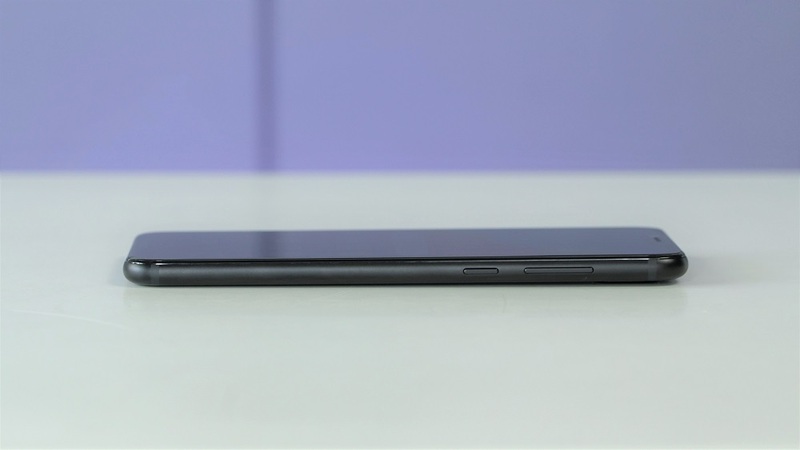 The 6.3-inch display is quite large but the narrow frame and rounded sides make it easy to grip. The Honor Play comes with a 6.3-inch screen Full HD+ display, 2340 x 1080 resolution, and a pixel density of 409ppi. 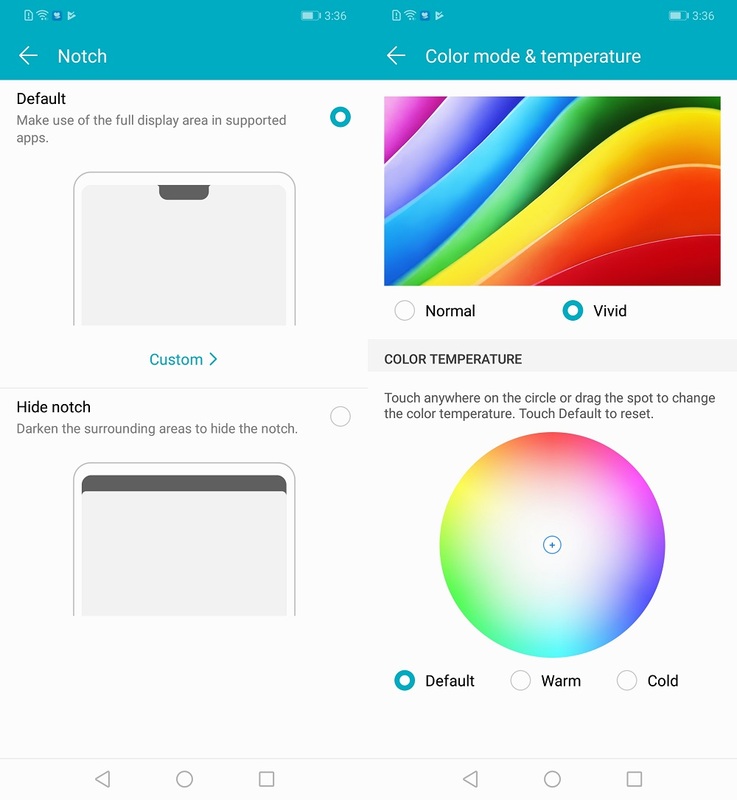 Users have the option to manually lower it to HD+ (1560 x 720) or enable Smart resolution to let the device automatically lower the screen resolution to help save power. Other screen features include the ability to hide the notch and adjust color modes and temperature. Display quality is okay as it is sharp with accurate colors. Viewing angles are decent but tend to look dimmer when viewed from the top. It’s not a serious issue though as we never encountered any problems when operating the phone normally, watching videos, or playing games. When it comes to multimedia, the Honor Play features a Music Party mode that is found in other Honor devices. 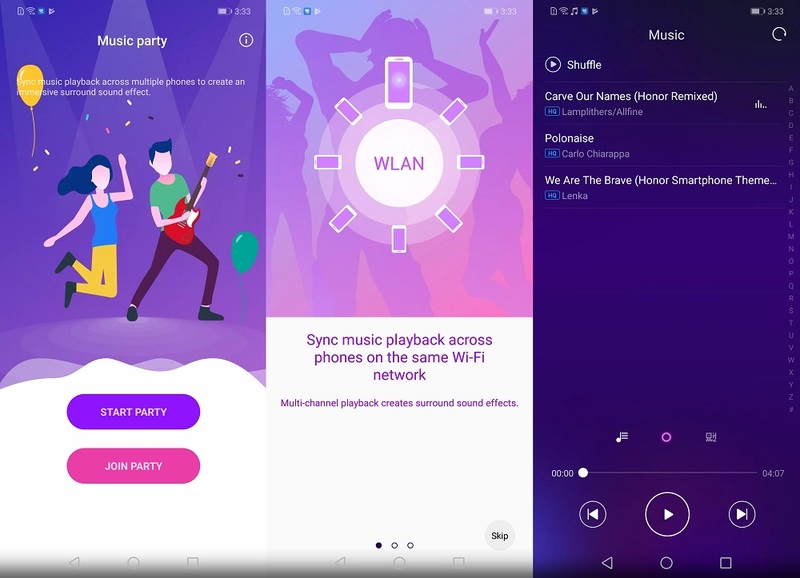 If you’re unfamiliar with the feature, it basically connects multiple Honor devices in the same WiFi network and streams the same music. This gives users a louder and more immersive music compared to when playing solo. 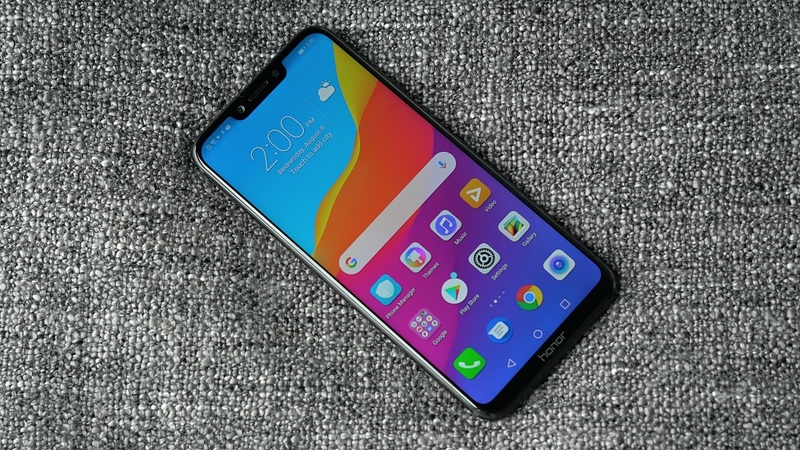 Before we proceed, the Honor Play we used at the time of writing uses a beta software so some parts of the operating system might be different from the final retail unit. 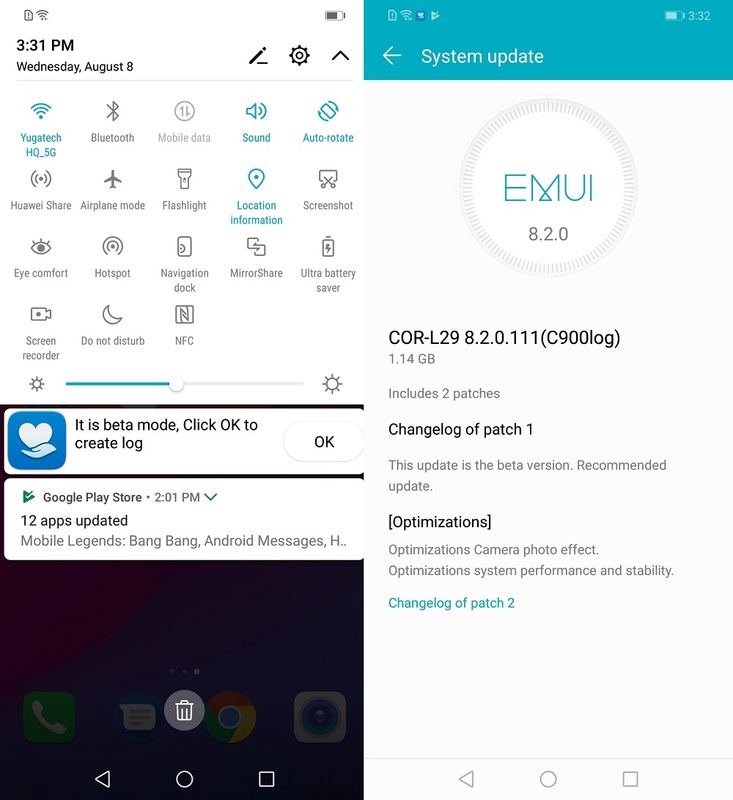 The Honor Play runs on EMUI 8.2 which is based on Android 8.1 Oreo. 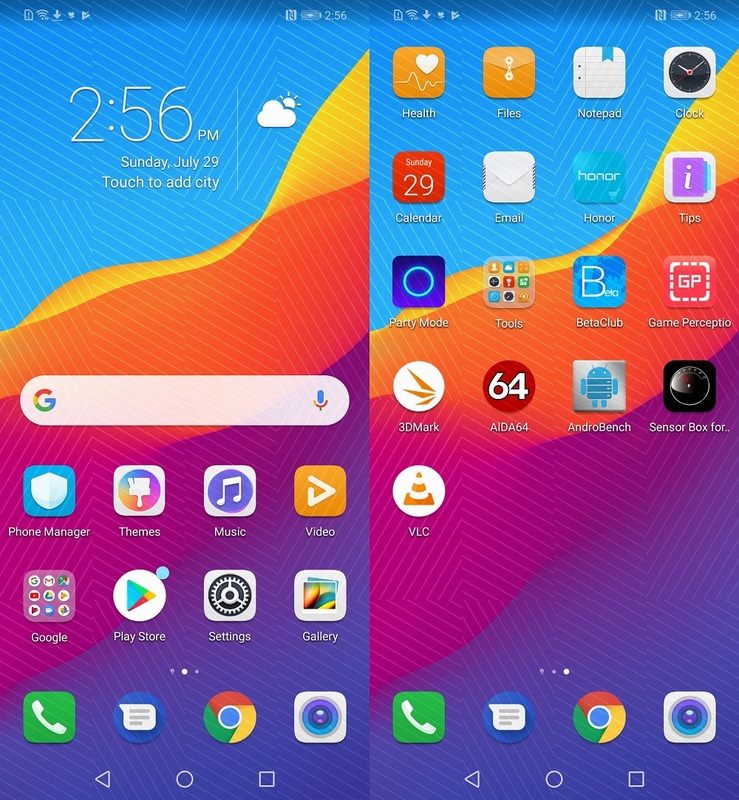 It has the same interface as other newer Honor devices and uses multiple home screens to house apps like those from Google and Honor’s own apps like the Honor app store, and in the case of our unit, the BetaClub app. Our device has 64GB of storage with 51.84GB as usable. You can further expand it with a microSD card via the SIM 2 slot, or via USB OTG. The Honor Play is equipped with 16MP + 2MP rear cameras, and a 16MP front camera. It’s loaded with features like Night mode, HDR, 3D Panorama, 3D Creator, Slow-mo, Light painting, Pro mode, Panorama, and Time-Lapse, to name a few. Like with other Honor devices, it has an AI mode which improves the quality of the photo, Portrait mode with Beauty effects, and AR Lens for fun stickers and backgrounds. So far, quality is good, especially in bright light. Check out the samples below. For video recording, it can shoot at a maximum of 4K resolution at 30 fps in MP4 format. Watch the sample below. 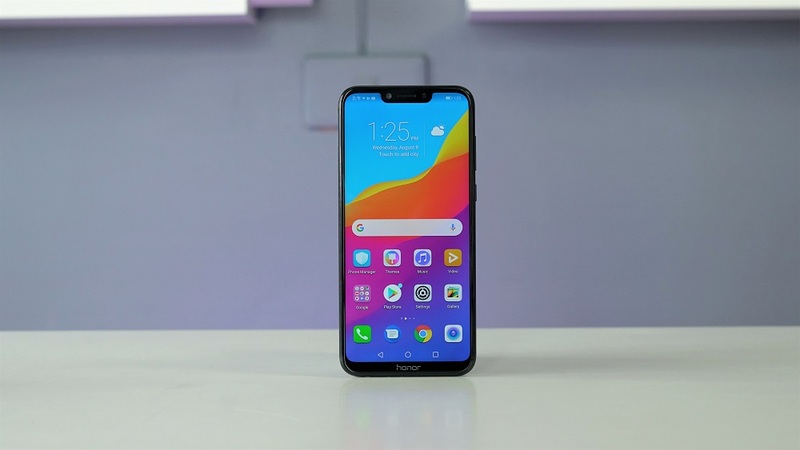 Again, we’d like to note that at the time of writing, the Honor Play is running on beta software, so performance could be better in the final retail unit. We have already tested the Honor Play’s GPU Turbo recently so this time we’re going to compare to the Huawei Mate 10 Pro without the GPU Turbo update. Although packing the same chipset, there are still some notable differences in benchmark performance. 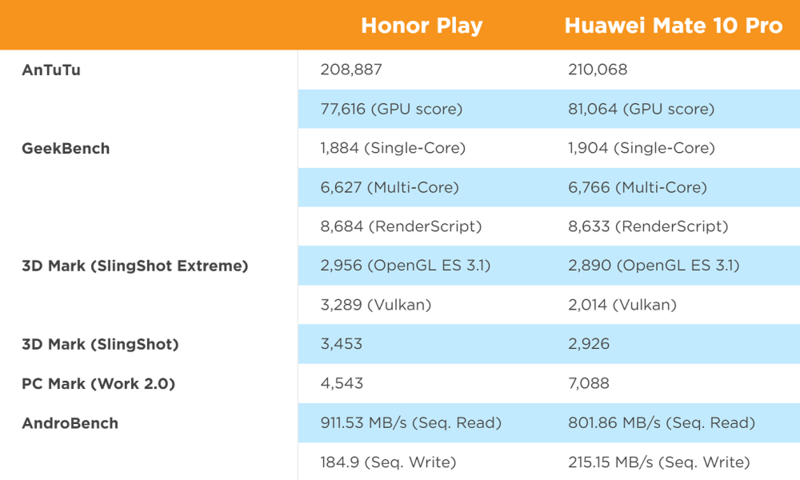 The Mate 10 Pro has a higher AnTuTu GPU score, but the Honor Play scored higher in 3D Mark. Both the Honor Play and Huawei Mate 10 Pro have a Median FPS of 40 but the former has a better FPS Stability performance, but not by a mile. However, based on our personal experience, we experienced less drop in frames when playing with the Honor Play. When it comes to thermal performance, it warms up but nothing out of the ordinary. This is the part where GPU Turbo performance is noticeable. The Honor Play got a Median FPS of 59 with a 93% FPS Stability. The Mate 10 Pro got 37 with 70% FPS stability. Based on our personal experience, Mobile Legends: Bang Bang on the Honor Play is noticeably smoother and more responsive. When it comes to thermal performance, it warms up but nothing out of the ordinary. Based on the tests, we can say that the GPU Turbo feature works. We’re looking forward to testing GPU Turbo in its final build in our other Huawei or Honor devices. 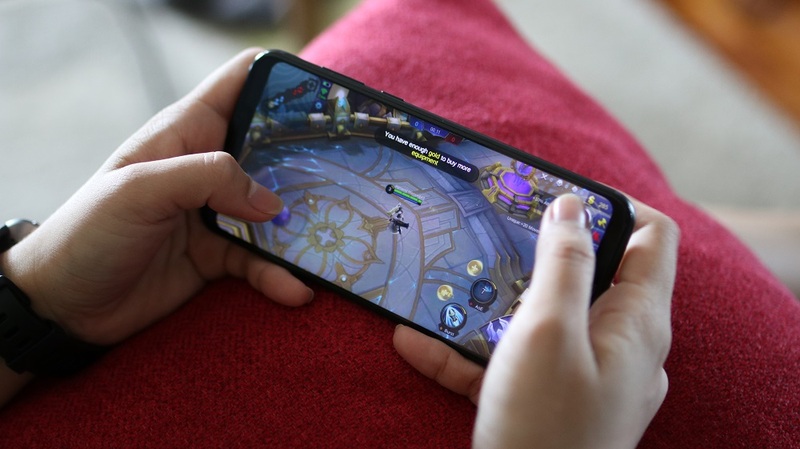 The post Honor Play in-depth hands-on appeared first on YugaTech | Philippines Tech News & Reviews.